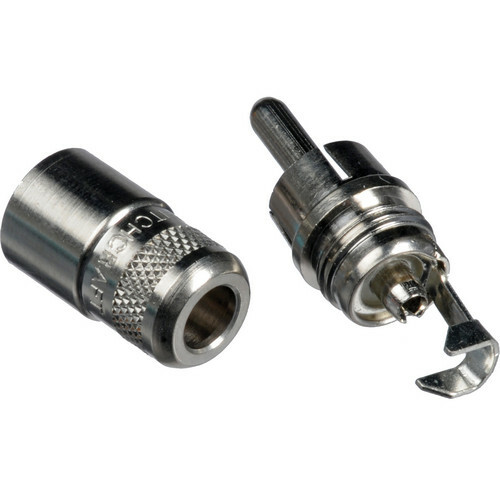 The 2-Conductor Shielded RCA Straight Plug from Switchcraft with nickel-plated copper alloy body and handle features an easy-to-assemble construction with a handle and plug assembly. The plug features a solid-pin design and terminals which can be crimped or soldered to make termination faster and easier. The handle can accommodate cables up to 0.203". This RCA plug helps save time and space in any application. Box Dimensions (LxWxH) 4.5 x 3.0 x 0.1"
2-Conductor Shielded RCA Straight Plug (Nickel-Plated Copper Alloy Body and Handle) is rated 5.0 out of 5 by 2. Rated 5 out of 5 by John Bonnell from Quality Connection One of the best.